Its colour varies from orange white to a more or less intense pink or reddish-brown. The sapwood and heartwood are not clearly separated, often when Beech get older, the heartwood turns brown. Beech Crown Cut Fumé speeds up the natural ageing process. 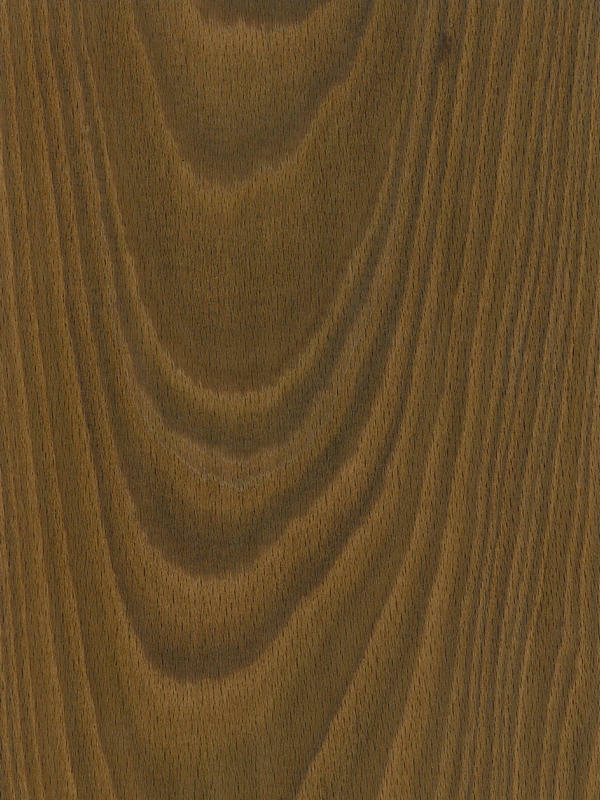 The fuming reacts with the tanin in the older mature wood, changing the colour to various shades of clear brown to dark brown, sometimes slightly streaked lighter or darker. Our specific fuming process with higher pressure levels helps to achieve a unique dark tone rarely found in the market. The result is dark veneer that is perfect for sophisticated yet discrete environments at the same time. It adapts to the latest trends and developments, offering every time more value. Beech Crown Cut Fumé brings an exceptional chance to reassert the natural character of this veneer offering a new finishing and letting appreciate perfectly its beautiful crowns.